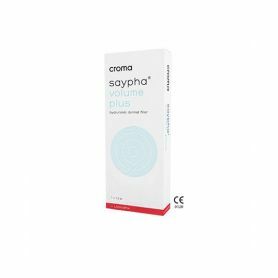 SAYPHA Rich is indicated for mesotherapy. Non-cross linked HA 1.8% (18 mg/ml)+glycerol Rejuvenating effect of long duration. The combination of hyaluronic acid and glycerol allows sustainably improve hydration of the skin. Gel implant, containing a high concentration of hyaluronic acid that is stabilized by glycerol, a natural moisturizer that retains water and preserves hydration. Sterile, viscoelastic, clear, colourless, transparent, isotonic and biodegradable gel. Regenerates the loss of hyaluronic acid due to aging, improves hydration, skin tone and elasticity and corrects fine lines. The product is injected into the superficial dermal layer. Non-cross linked HA 1.8% (18 mg/ml) +glycerol. Non-cross linked and stabilised with glycerol. 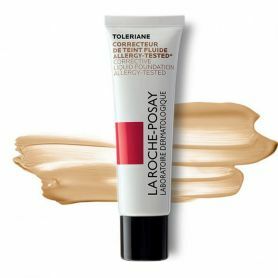 Based on the SMART technique, the gel is not cross-linked but stabilized by glycerol, a natural moisturizer, which retains water and preserves hydration. 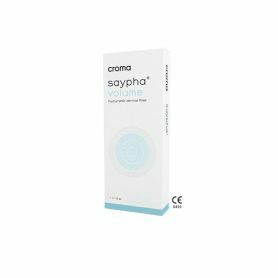 SAYPHA Rich shows a high concentration of HA and a very high molecular weight (3.0 mio Daltons) for long-lasting rejuvenation effects. The combination of HA and glycerol durably increases the hydration of the skin. 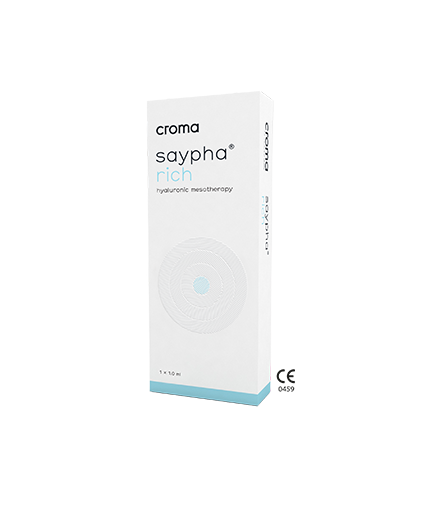 SAYPHA Rich is indicated for mesotherapy treatments. Injected into the superficial dermis it improves the tone and elasticity of the skin, gives a glow to the complexion and holds off the signs of skin ageing. For better results, it is recommended to have 3 treatments at a three weeks interval. Neck, décolletage, back of hands, upper arms, crow's feet and smoking lines around the mouth. Viscoelastic solution for the replacement of hyaluronic acid depleted by the ageing process, to improve the hydration, tone and elasticity of the skin and fill fine wrinkles such as crow's feet and smoking lines around the mouthiscoelastic solution for the replacement of hyaluronic acid depleted by the ageing process, to improve the hydration, tone and elasticity of the skin and fill fine wrinkles such as crow's feet and smoking lines around the mouth. 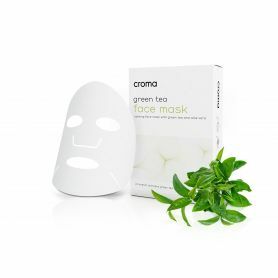 In its global sales network, Croma focuses on its own brand products for minimally invasive cosmetic medicine. 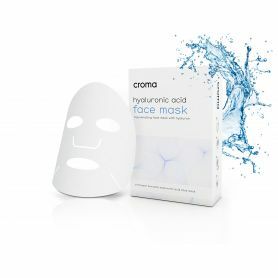 In addition to a wide range of hyaluronic acid-based fillers from its own production site, Croma markets PDO tensor yarns, a Platelet Rich Plasma System (PRP) and customized skin care technology. within its core strategic markets.